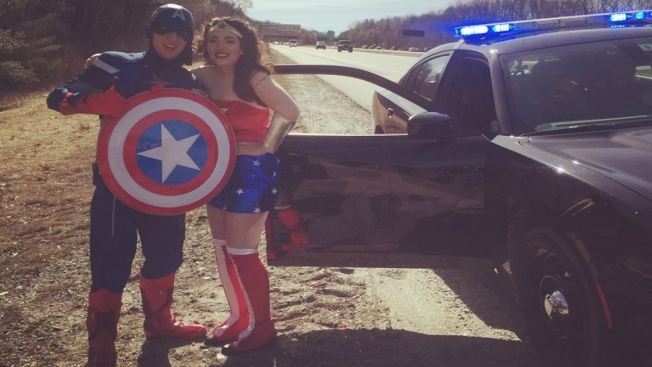 On March 13 at 11 a.m., two superheroes needed some assistance on I-93 in Hooksett, New Hampshire, after their vehicle broke down. Trooper M. Suttmeier came to their rescue, so they would not be late to a young child's birthday party. The children were very excited to see the superheroes arrive, and get out of a New Hampshire State Police cruiser.